Will Ronald Koeman be able to lead Southampton to success, or will failure be the only thing he can achieve? 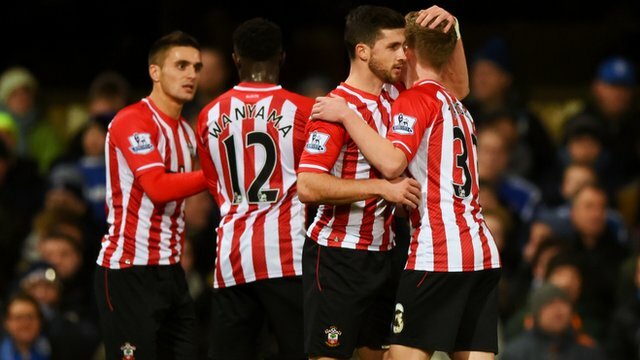 In the last few years, Southampton FC have risen through the ranks of English football. From being in League One back in 2010 to threatening for European Football, the players and staff at Southampton FC have proved that their club is becoming one of the best that England have to offer the world. Being widely known for their youth system, many of the world's best started their careers at Southampton, men like Alan Shearer, Matt Le Tissier and Gareth Bale were all Southampton players before they moved on and became household names elsewhere. Southampton have also had some of England's best players wearing their shirts throughout the years, with men like captain Adam Lallana, Rickie Lambert and Peter Crouch giving Southampton the goals and the quality the club needed to be where it is now. Captain Marvel: Adam Lallana was part of the Southampton side that was promoted to Premier League in 2012. The summer of 2014 has been an all-time low for Southampton, however. If the departures of such skillful and reputable players like Adam Lallana, Dejan Lovren and Rickie Lambert to Liverpool, Luke Shaw to Manchester United and Callum Chambers to Arsenal, the team was left looking like a shell of its former self. The departure of manager Mauricio Pochettino to Tottenham helped Southampton's rebuilding efforts, however, as Pochettino made way for Dutchman Ronald Koeman to swoop in and save the team before the season started, making some good signings like striker Graziano Pelle, winger Dusan Tadic and defender Toby Alderweireld whilst managing to keep a hold on men like Nathaniel Clyne and Morgan Schneiderlin despite interest from a lot of reputable clubs. With the squad having undergone a big change, and many of the players not having time to form a considerable bond before the season's beginning, Ronald Koeman must hope that his squad can do such a thing. The 2014/15 season is a big one for Southampton, as it will show what the Southern club are really made from, and if they have what it takes to become a big English club in the future. Also, die hard rock/punk/grunge fan and die-hard comic book and video game enthusiast. Can't have too many Southampton stories! 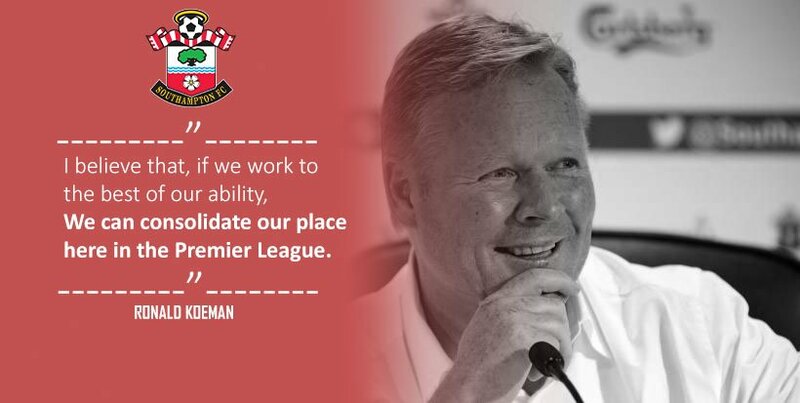 In his most recent pre-season press conference, new Southampton Manager Ronald Koeman sat in front of many eager reporters and spoke about his hopes of consolidating Southampton's position in the Premier League this season, before moving onto glory in the next few seasons. The Dutchman is a new face among many Southampton supporters, having been brought in after the resignation of Argentine Mauricio Pochettino, who has recently become the manager of Premier League side Tottenham Hotspur. Last season under Mauricio Pochettino, Southampton finished 8th, just short of European competition, their last match being a 1-1 draw with Manchester United at home, Many fans are hoping of a repeat of this season or better, but with things the way they are and the lack of squad gelling inside the Southampton ranks, many others are left worrying about what could happen. Southampton's tenure in the FA Cup and the League Cup were cut short unexpectedly, with Southampton being knocked out by Sunderland in both competitions, lasting until the 5th round of the FA Cup and the fourth round of the League Cup. The fans are hoping to get further in the cups than last year, but many other fans see the League Cup as an unimportant distraction for the team. Koeman himself does not want to rush his players, and knows that if they play to the best of their ability one-hundred percent of the time, then the squad will get the result they deserve. @Maximus: Thanks for your support, it looks like I'll need a lot of luck! Very good story! Keep it up and this can become one of the sites best. Southampton FC have shocked the world by announcing the transfer of Italian International and Napoli player Lorenzo Insigne on a two-year deal. A member of the Napoli Youth Academy, in 2010, Insigne was sold to Lega Pro Prima Divisione club Foggia in a co-ownership deal with Napoli; during his time with Foggia, he scored 19 goals under the tenure of Czech coach Zdeněk Zeman. On 8 July 2011, Insigne agreed to re-join Zeman, accepting a one-year loan to Serie B club Pescara. Insigne formed a notable offensive partnership with teammate Ciro Immobile, who was the Serie B top goalscorer with 28 goals as Pescara topped Serie B that season, scoring 27 more goals than any other team in the competition; Insigne managed 18 goals in the league himself as the club's second highest scorer, also providing 14 assists that season, heavily contributing to the team's success. Due to their victory in Serie B, Pescara were promoted to Serie A with Zeman's ultra-attacking style of football. At the 2012 AIC Gran Gala del Calcio, Insigne was named the "Best Player" of the previous Serie B season, along with his former Pescara team-mates Immobile, and Marco Verratti. Insigne's performances at Pescara enticed parent club Napoli to bring him back to his hometown club for the 2012–13 Serie A season. Insigne had originally made his Serie A debut with the club on 24 January 2010, under manager Roberto Donadoni, in a 2-0 win over Livorno; he scored his first Serie A goal with Napoli on 16 September 2012, in a 3-1 home win over Parma. He struggled to get a run of consecutive games at many points in the season but participated in a large successful season at Napoli, who finished in second place in Serie A that season. Throughout the duration of the season, he made 43 appearances and scored five goals, providing 7 assists. The competition for places with players like Edinson Cavani, Goran Pandev, Eduardo Vargas and Omar El Kaddouri meant that Insigne started often on the substitutes' bench. The following season, Insigne made his UEFA Champions League debut in 2-1 home win over the previous season's finalists Borussia Dortmund, on 18 September 2013; Insigne marked his debut in the competition with a goal from a free-kick. In the final of the Coppa Italia on 3 May 2014, Insigne scored twice in the first half, as his side won 3—1 against Fiorentina. Insigne was called up for the first time for the Italian senior National team on September 2012, at the age of 21, by coach Cesare Prandelli, for Italy's 2014 World Cup qualifying matches against Bulgaria and Malta. He made his senior international debut on 11 September 2012, in a World Cup qualifier match against Malta in Modena coming on as a replacement for Alessandro Diamanti. On 14 August 2013, Insigne scored his first goal for the senior national team in a friendly match against Argentina with 15 minutes remaining Insigne opened his account for the Azzurri with an excellent curling shot from the edge of the box which ended in a 2–1 loss at the Stadio Olimpico in Rome to the South Americans. He was named in Cesare Prandelli's 30-man provisional squad for the 2014 FIFA World Cup on 13 May of that year and on the 1st of June 2014 was picked in the final 23-man squad for the 2014 World Cup hosted in Brazil. Insigne started things off great in Italy's last warm up match against Fluminense in Brazil ahead of their World Cup opener against England starting the game with fellow Napolitan and former Pescara and Italy U21 team mate Ciro Immobile the pair went on to score 5 goals together with Insigne netting 2. On June 20 he made his debut in the 2014 World Cup in Italy's second group match against Costa Rica, replacing Antonio Candreva in the second half; this was his only appearance throughout the tournament, as Italy were eliminated in the group stage. The deal is believed to have been in the £10 million region, and Insigne becomes Ronald Koeman's tenth signing of the season, behind the likes of Dusan Tadic, Graziano Pelle and Shane Long. great signing man, and an incredible start! Keep it up! Southampton mega signing Lorenzo Insigne took his first press conference alongside manager Ronald Koeman this morning in front of the press and the fans. Insigne's move to Southampton was completed a few days ago, with the Italian heading to England for a reported some of £10 million pounds. 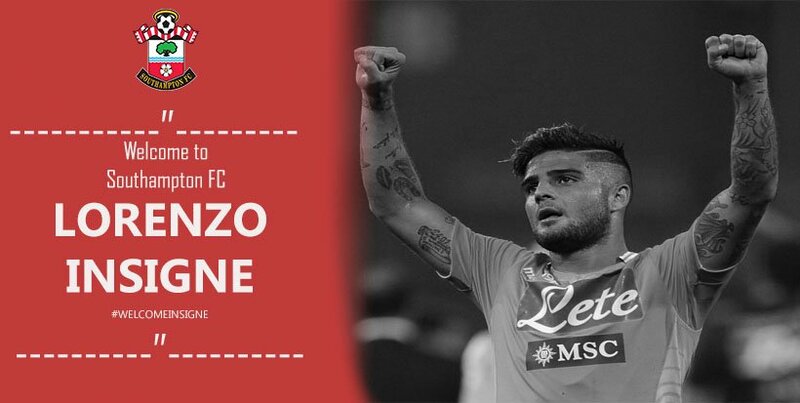 This is a shock from Southampton, as many fans believed that there had been no interest from any clubs for Insigne. Ronald Koeman was delighted at the press conference, and spoke eagerly about Insigne. A member of the Napoli Youth Academy, Lorenzo Insigne was sold to Lega Pro Prima Divisione club Foggia in a co-ownership deal with Napoli in 2010. During his time with Foggia, he scored 19 goals under the tenure of Czech coach Zdeněk Zeman. In 2011, Insigne agreed to re-join Zeman, accepting a one-year loan to Serie B club Pescara. Insigne formed a notable offensive partnership with teammate Ciro Immobile, who was the Serie B top goalscorer with 28 goals as Pescara topped Serie B that season, scoring 27 more goals than any other team in the competition; Insigne managed 18 goals in the league himself as the club's second highest scorer, also providing 14 assists that season, heavily contributing to the team's success. Yeah I really hope that doesn't happen, I'll probably be screwed otherwise, haha. Reports coming from the Southampton camp have detailed a potential falling out between manager Ronald Koeman and full-back Nathaniel Clyne. Reports are saying that the club have rejected an offer made by Tottenham Hotspur for Clyne, which has prompted a disappointed response from the full back. However, it seems that Ronald Koeman has managed to keep a grip on the situation and, after holding talks with Clyne, has allowed the two of them to come to a deal over what happens next in Clyne's future. On 19 July 2012, Clyne signed a 4-year deal with newly promoted Premier League side Southampton. He made his debut on 19 August, in a 3–2 defeat against Manchester City at the City of Manchester Stadium. He made his home debut six days later in a 0–2 defeat to Wigan Athletic. He scored his first goal for the club on 22 September, in a 4–1 win at home against Aston Villa, set up by Gastón Ramírez with England under-21 coach Stuart Pearce in attendance at St. Mary's. His second goal for the club came in the FA Cup third round against Burnley on 4 January 2014, opening an eventual 4–3 home victory with a 25-yard strike past Tom Heaton. Luckily, none of Clyne's teammates at Southampton seem to have voiced their opinions on the matter, and are all trying their best to work out how to deal with the situation, especially captain Jose Fonte, who has reportedly taken the matter into his own hands and has spoken to Clyne about what he wants and whether or not he should keep asking for it. Fantastic start, lovely graphics and great updates! Keep it up. Southampton's pre-season tour has just finished, with the club playing five games worldwide over the last two months. The club has been all around the world, from England to the USA and Spain multiple times in the last few months to face teams such as Celta, New England and Zurich. The Saints' pre-season started when Swiss side Zurich came to St. Mary's Stadium on the 12th July, where Southampton managed to overcome them by 2 goals to 0, with debutantes Shane Long and Graziano Pelle both getting onto the scoresheet during the match. Next, Southampton traveled to the Gillete Stadium, home to MLS side New England. Although New England dominated possession and kept the ball, Southampton managed to have more shots on target and showed that by once again winning by a two-goal margin, with Shane Long once again getting on the scoresheet alongside defender Toby Alderweireld. Denmark was the Saints' next location as they took on Denska Premiership side Bantoran in a game where Southampton destroyed their opposition, the game ending with a 4-1 scoreline to the Saints after goals from Dusan Tadic, Filip Djuricic and two more from Shane Long. Southampton then returned to St. Mary's Stadium for two more games, first taking on Turkish club Kasimpasa in a game which ended 3-0 to the Saints. 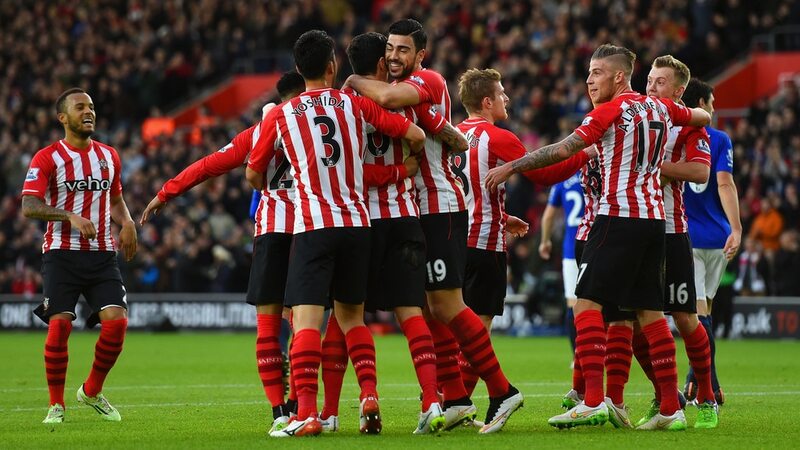 Defender Maya Yoshida opened the scoring, before his goal was followed by ones from Graziano Pelle and Sadio Mane. On the final game of their pre-season, the Saints took on Spanish side Celta at St. Mary's. Ending with another win for the Saints, ending their pre-season with no losses or draws, the scoresheet was filled by Toby Alderweireld and Sam Gallagher, who made the final score 2-0 to Southampton. 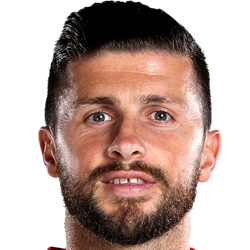 Shane Long wins the Player of Pre-Season award for his brilliant performances against Zurich and Geltoran. Scoring 4 goals through the entire of pre-season, the most out of all of the Southampton squad, and leading the line and boosting morale multiple times throughout the season, Shane Long definitely deserves this accomplishment. Long could become an important player this season if you get him firing. You are reading "Southampton - We Are The Southampton Boys".